Oftentimes the best way to learn about something is to ask questions. What you will see below are frequently asked questions about DesignWise Medical. Hopefully you will find them helpful. If you have additional questions you would like see added to this page, please email them to us at info@designwisemedical.org. What is the Need for Pediatric-Focused Health Care Devices and Products? Pediatric medical devices are used to diagnose and treat diseases and conditions for children (up to age 21 years). Although some products are designed exclusively for children, other devices are borrowed from adult applications. Because children are often smaller, more active, and have different body structures and functions, designing pediatric medical devices may be very difficult and challenging. Also, because a child’s body changes greatly during childhood, implanted materials raise concerns about long-term exposure to certain equipment and about device longevity. Why do these Children's Needs still exist? Today’s health care industry has done fantastic work for all of mankind but unfortunately, children have not received the level of attention they deserve from either the Medical Device industry or the Pharmaceutical industry. Both of these industries have developed product specifically targeted and intended for children that have had tremendous impact on improving the health of our children. This fact is not in question. Where the problem lies is in the more niche areas of pediatric medicine where the financial story of these products cannot compete with those that are found in adult medicine. Let’s look at the following graphic to help illustrate this point. 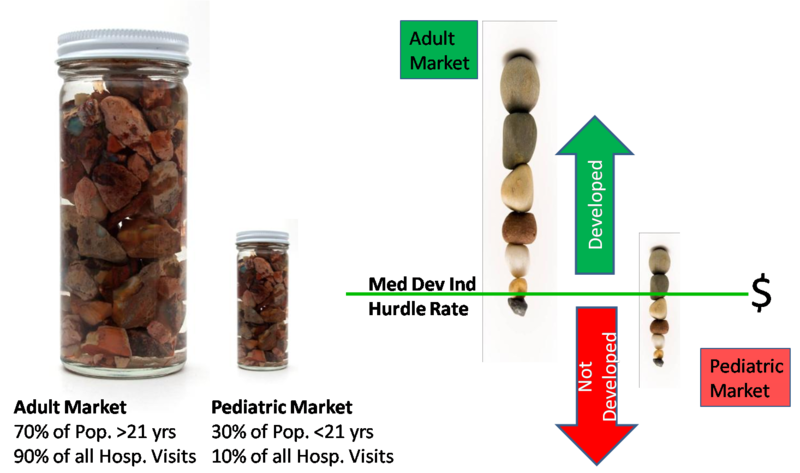 Each rock represents a medical device market opportunity. As you can see, the pediatric medical device market is approximately only 1/10th as large as the adult medical device market. Therefore each product opportunity or need that exists in pediatrics is at most only 10% of a similar market for adults and when you factor in the market fragmentation due to the many developmental phases within pediatrics, any one pediatric opportunity can be very much smaller than any adult opportunity. Most development firms have what is called a ‘hurdle’ rate that any new projects being considered must have a likelihood of achieving prior to allocating any development funds to the project. This hurdle rate is usually a financial measure such as ROI or break-even analysis. With the market size of pediatric opportunities very much less than that of adult opportunities, a higher percentage of pediatric devices don’t meet this hurdle rate and therefore never get developed. It is these unmet needs that DesignWise Medical has been setup to address by removing the need to show a financial return on investment. The only thing we are requiring is a social return on our non-profit investment. This social return takes the form of improved outcomes for children through the use of products we developed over the currently available products/methods in use. If the product affects 1 child or 1 million children it will receive the same level of attention and diligence from DesignWise Medical. What is important is the social-story, not the financial story. If you are aware of other needs, please share them with us. We continually try to uncover the unmet pediatric needs and then evaluate the best approach to meeting that need. Your perspective as either a parent, care provider or child advocate is vital to uncovering these unmet needs and getting them the attention they deserve. What is DesignWise Medical doing to address these needs? DesignWise Medical is a 501(c)3 non-profit organization that develops medical devices for children. This business model and approach are unique among medical device firms and this has necessitated a new way of developing devices. DesignWise Medical uses a collaboration model [similar to ‘crowd-sourcing’] among its volunteer pool and partner institutions to identify the unmet pediatric needs and coordinate resources to help with the design, development and commercialization of the corresponding solutions. Thanks to today’s technologies and the internet, volunteers can come from any geographical area and participate in the solution development process. Through an on-line project collaboration tool, we are able to facilitate volunteers and resources to work collaboratively on individual projects. Please explore our website for more details on our development process, our current projects, our resources and for ways that you can contribute to this effort. If you or your organization is interested in participating, please sign up to volunteer. 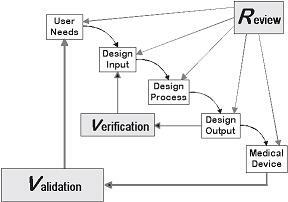 How does the DesignWise Medical Development Process work? DesignWise Medical’s development process is in full compliance with the FDA QSR as well as ISO 13485 for those portions of the regulations we are involved in such as Design Controls. We are not a finished medical device manufacturer and therefore the portions of the regulations that address those aspects are not part of our Management system. DesignWise Medical works in close collaboration with its local network of pediatric hospitals and other clinical partners to determine clinical area that requires the most urgent attention and then within that area multiple approaches will be deployed to determine the unmet needs. By working with an appropriate clinical sponsor for an unmet need, DesignWise Medical determines the scope of the development program and the resources necessary for success [human and financial]. If the project fits within the resources available or planned to be available and the project represents the highest social return project on the project queue list then it will become an active project. The project is then scoped against the skills and availability of DesignWise Medical’s network of engineering schools [student design projects, medical device curricula, faculty research], medical device professionals, retirees and other volunteers. 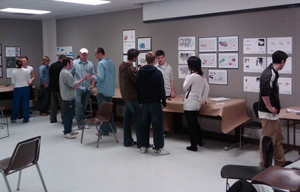 The project team is assembled and the project development work commences. DesignWise Medical staff and volunteers continue the development work on the device until the product is sold or licensed to another entity or it has reached commercialization. When intellectual property is developed in the course of the project it will be owned and managed by DesignWise Medical, either alone or in conjunction with any sponsors based on previously executed development agreements. Once a project is proved to be viable, DesignWise Medical will look for a current medical device company to either license the product, to purchase the full rights to the product or enter into a distribution-only arrangement. As part of any of these relationships, the partner may wish to become the manufacturer of the device. If no interested medical device company is found, DesignWise Medical will explore alternate options to manufacture and distribute the product. DesignWise Medical itself will not become a primary manufacturer of medical devices. Join the effort and contribute at any level desired, from simple idea suggestions to participation on a solution development team. What is the latest Pediatric Device Legislation all about? Some good news is that significant governmental attention has been given to this issue over the last 5 years. Special legislation has been enacted to help support the development of medical devices for the unmet pediatric needs. A report from the FDA was presented to Congress in October 2004. The report is entitled: ‘Barriers to the Availability of Medical Devices Intended for the Treatment or Diagnosis of Diseases and Conditions that Affect Children’. What follows are excerpts from that report. Development costs for pediatric devices are prohibitive — The majority of commenter’s representing all groups indicated that the cost of developing pediatric medical devices is the most significant barrier to the development of new pediatric medical devices. 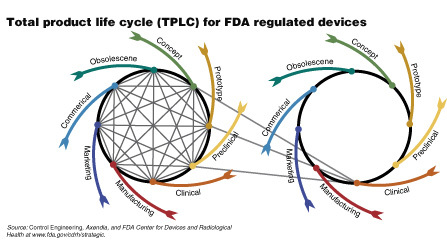 The economic challenges noted include not only the limited size of the pediatric device market, but also that the return on the investment required to develop and test pediatric devices usually falls below the profit goals of most medical device companies. Based in part on the strength of that report, congress passed the FDA Amendments Act in September of 2007. 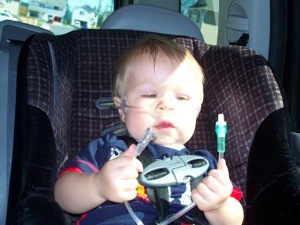 This legislation included Title III: Pediatric Medical Device Safety and Improvement Act, which requires that an application or protocol submitted to the FDA for a medical device must include a description of any pediatric subpopulations that suffer from the condition the device will treat, diagnose, or cure. The legislation intends to ensure that pediatric studies and availability of quality product data are considered in new product labeling to ensure pediatric safety and emerging safety issues that occur once a product is used in broad pediatric populations. The Act also required that the DHHS Secretary submit a plan to congress related to expanding research and efforts related to pediatric device development. This plan included governmental grant funding to support the development of pediatric devices through pediatric consortiums. DesignWise Medical has relationships established with these consortia and remains abreast of all government funding opportunities that exist.